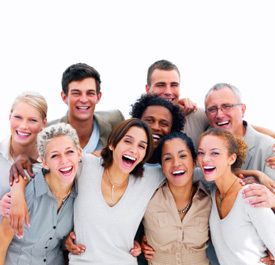 Every business wants healthy, happy employees! Yonge-Steeles Family Wellness Centre proudly offers exciting and informative corporate health fairs for businesses and corporations. We have been actively involved with Proctor & Gamble, banks, government offices, police divisions and more! At our health fairs, we conduct a very interactive screening, along with offering services like chair massage and reflexology. These events revitalize the employees and are very well-received with many companies, who often request we return annually. Our goal is to share the benefits of chiropractic care and how it can help your employees achieve whole body wellness. Interested in learning more about bringing our corporate health fairs to your employees? CallYonge-Steeles Family Wellness Centre today at (416) 225-3987.